Status: Released on Steam, GOG.com, Humble Store, Games Republic and itch.io. 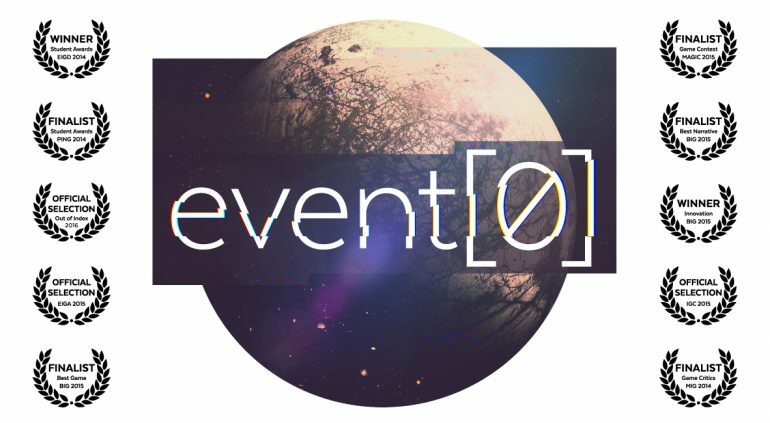 What: Event is an award-winning narrative exploration game where you must build a relationship with a lonely spaceship computer to get home. Set in a sci-fi retrofuture, the game places you aboard a desolated spaceship with a single companion: Kaizen, an AI computer capable of procedurally generating over two million lines of dialog. The reality of your situation will emerge organically as you explore your surroundings and type with Kaizen on terminals located throughout the spaceship. You’ll move freely through evocative 3D environments in first-person perspective as you gather information and solve hacking puzzles. By working through the fears and anxieties of your virtual companion, you can find your way back to Earth—while unraveling the cryptic history of the ship and the 1980s society from which it emerged.